▪ Additional and custom manufacturer records can be added using existing manufacturers’ information or from scratch. ▪ The information is displayed on three pages General, Removable Core and Pins Information. The manufacturer record name, display names, depth range, MACS, construction keying data, cutter information and all related information are shown. All data necessary to compute pinning charts for removable core (IC) systems. 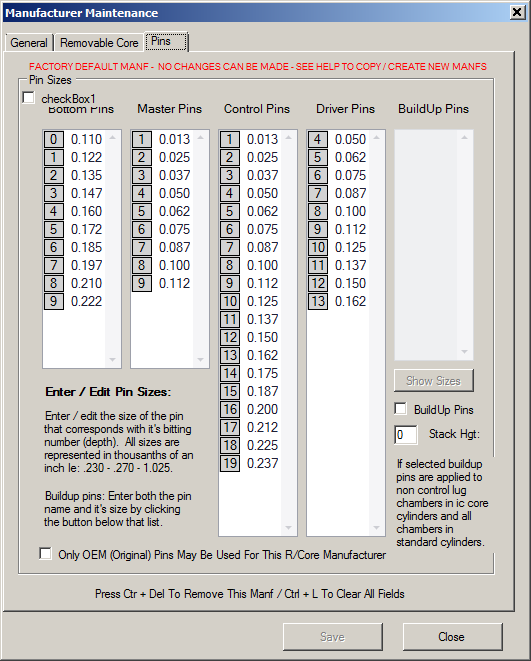 The control number and stack heights needed to generate the correct pin information. The control lug data to determine which chambers control the cylinder retaining lug. 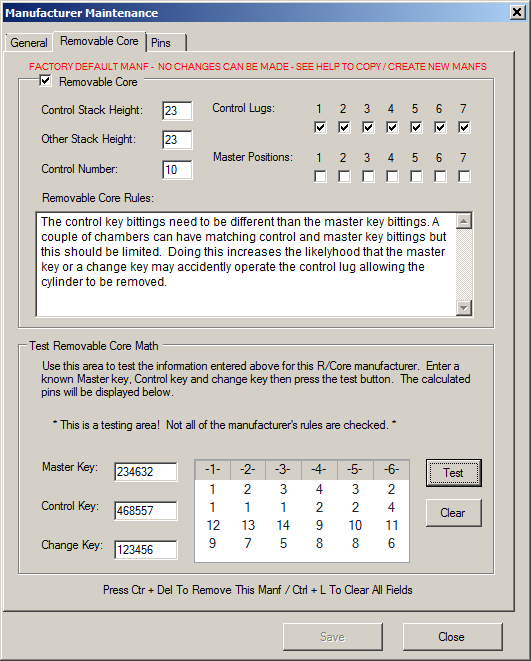 And, a test section allowing verification of the entered information against a known pinning chart. 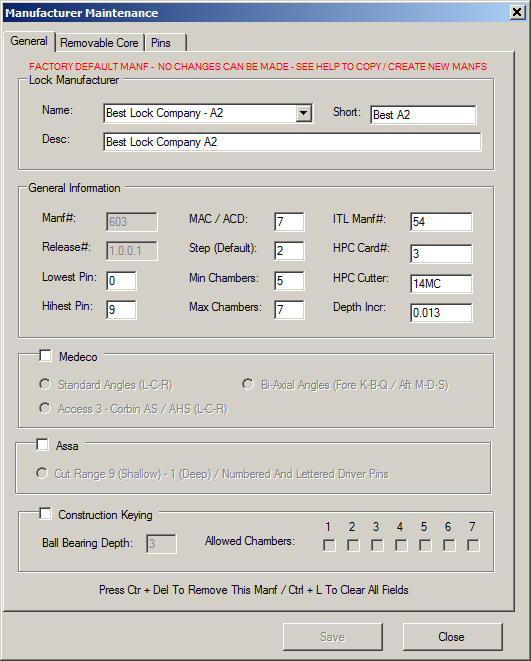 Bitting ranges and their associated pin depths used for a manufacturer’s locks are shown and edited. Build up pins are also shown when required. The Only OEM pins box is checked when original pins only are available.